JUST DUCKS - THE HOME OF QUACK! Thank you so much to everyone who has taken the time and trouble to write to us. We love hearing from you, and your comments are much appreciated. If you'd like to drop us a line, you can find us at enquiries@JustDucks.co.uk, or on our Instagram, Twitter or Facebook pages. My husband ordered a duck on Thurs and it arrived on Fri morning!! Now that is excellent service and deserves an email to tell you so. The duck in question was one that says 'they didn't have your name'. So thanx again for your swift service, it was appreciated. Many thanks for the speedy delivery flight of 20 ducks,ordered 18 hours before! Sir/Madam - just a quick note to say thank you for the superb service. We are delighted with the ducks that arrived yesterday. I've received the ducks, many thanks. I have to say of all the companies I've dealt with through the summer preparing for the ice hockey season, you guys have been the most impressive: reasonable prices, great communication, quick, helpful, friendly. So I just wanted to say a massive thank you for that and that if you ever want a glowing testimonial then let me know! Gosh, if only all businesses were run as efficiently as you manage yours. For me you have become the benchmark by which all others will be judged and I thank you for your courtesy in the professional and effective process of my order. I have to say of all the companies I've dealt with through the summer preparing for the ice hockey season, you guys have been the most impressive: reasonable prices, great communication, quick, helpful, friendly. So I just wanted to say a massive thank you for that and that if you ever want a glowing testimonial then let me know! I have ordered a few products from your website and have to say you are one of the most efficient and reliable websites I have ever used! Thank you for your excellent customer service. 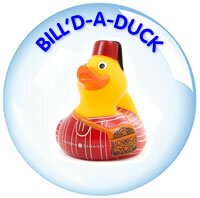 "Excellent service; so responsive - ordered ducks for my wedding and they were posted same day, and even when I changed the address JustDucks could not have been more helpful"
Hi ~ I’ve just received my order ************5764D and thought I'd drop you a line to say THANK YOU, they are superb, the service communication, product and courier were all fantastic. We are giving them as presents at our forthcoming wedding and I’m sure they will be well appreciated. Just wanted to drop you an email to say we are very pleased with the excellent service you provided yesterday over the phone and in ensuring our parcel of ducks arrived safely the next day. Interlink are surely the best courier contacting us three times, one to say they were delivering, one to confirm delivery and one to even tell us an hour time slot – superb! And they turned up in that time slot. My daughters love the ducks and can't wait to name them and race them. As I said yesterday so nice to deal with a British company who cares about their product, service and customer satisfaction. Would not hesitate to recommend you. I just wanted to say how happy I am with the service you have provided. Excellent customer service with someone at the end of the phone to discuss my requirements with and a speedy delivery – items arrived next day. A wonderful product and service. Thank you! Just a quick email to thank you for your very prompt delivery of the 28cm Lying Duck with Scarf which I ordered yesterday. It is very satisfying to deal with a company like yourselves. Just Ducks came recommended and I would be happy to do the same. Ducks arrived safe and well and I am delighted with the service and the ducks thank you . just wanted to say a big thanks for your great products and great customer service - quickest on the web! Received the Ducks early this morning. Our grandchildren will really love them when they get them as part of their Xmas presents. I just wanted to say thank you for the excellent service, I placed an order yesterday morning and it has just been delivered. If only other online stores were as efficient! Just wanted to say a huge thank you for the prompt delivery with the Ducks we ordered online yesterday, we received them 10 minutes ago which is excellent news. I wanted to send a note just to thank you for such good service. We are pleased with the ducks which will replace the old, very tired, ducks at Battle 's Mediaeval Fair this year. I just wanted to let you know that i received my order today and am delighted with both your product and your swift and efficient service. I ordered some hook a ducks for my daughter's fourth birthday party. She was thrilled when she saw them and has spent all morning 'practising'. I just wanted to say thank you for the super fast delivery of my recent order. The flashing puffer ducks were a great success at our sons party and many a bath time is now a more colourful experience. Hey everyone over at JustDucks! I'm just writing to thank you for your excellent service and to comment on the amazing speed of dispatch and delivery as well as the extraordinary quality of the actual ducks! My friends were really impressed with them as their Christmas presents and I am sure they will soon also be visiting your site and becoming as much a happy customer as I am. Just wanted to say thank you for your incredible service. My daughter and I have placed many, many orders. I would recommend you to anyone where ever they are in the world – you are so trustworthy, you are wonderful! I just wanted to e-mail to say a big thank you for the ducks! They were a huge hit at all of our events and exhibitions this year, and proved to be the most successful of the promotional gifts, as well as an amazing ice breaker. The results were fantastic, and I am very happy that I persuaded the marketing team to choose your product above and beyond the competition. Just to say a big 'thank you' for your fantastic service. Great range of products and prices and such fast delivery. So pleased we found you - will definitely place further orders in the future. Thanks - I ordered the other day and I can't believe how fast my order came down (Channel Islands). Only a day or two, and that with all the snow too. Congratulations on a fantastic service and the ducks are great! Thank you again for your quick response and for the advice. I did go to my local post office and it was there! I just have to say THANK YOU again for amazing service you have provided again and again. Want to just say thank you for the fast despatch of the orders I have had off you.. Thank you for the delivery of ducks which arrived on time and were exactly what we wanted. I just wanted to say thanks very much for delivering the ducks so quickly last week. I ordered them on Friday night and we had them by Monday which was excellent! I was really pleased with the quality of the ducks too and I have already recommended your site to friends. Your customer service is second to none ! Thank you sooooo much for the lovely ducks, my children love them!!! Sorry, couldn’t find a 'leave feedback' link .... but I definitely would do business with you again and have already recommended you. Hiya, I placed quite a large order with you several weeks ago and just wanted to tell you I was thrilled with my ducks,delivery was very quick and well packaged my children had great fun rooting through all the packing to get to the ducks. I will definitely be ordering from you in the future. I was delighted to find your little gem of a website after hours of trawling the internet without success I was beginning to think I was the only one out there with a penchant for ducks hooray I'm not alone thank you again. Can’t wait for my next little shopping spree! I just wanted to drop you a line to say how impressed I was with the efficiency of your service. My order arrived by return of post and you can't get quicker than that! I received my Duck Race Ducks yesterday. What a prompt service!! You have saved our duck race from disaster. Fantastic. I will be recommending you to our Scout Association for their planned duck races. Just to say a huge thanks. 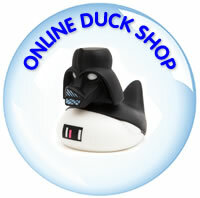 I was incredibly impressed with the prices and choice on just ducks when I discovered the site. And now? I'm even more impressed with the speed at which my order arrived. Fantastic, everything was perfect. So much so that that day I ordered a king pig bank on your sister site and what can i say, faultless, I was again amazed at the great service. What can I say…. Ordered yesterday and here today all but 24hrs from order to delivery… Gosh how I wish other companies were as professional as you are. Please thank all involved in the process and I will be doing business with you again that is for sure…. I just wanted to drop you an email to say thank you! I ordered my duck on Friday afternoon and it arrived this morning (Monday). “Impressed” just doesn't cover it. I am just emailing you to say that I am very pleased with the quick delivery and service I received from yourselves. I will definitely be recommending you to others and will be using you again in the future. I feel compelled to email to thank you for the excellent service I have received from your company. On Friday 26 October I ordered my duck and it was delivered 08:45 Saturday 27 October. WOW! what incredible service. Many thanks for an excellent product which was packaged well and a first class service. Goods arrived this morning. Not often that I am astounded by excellent customer service but this is as good as it gets - 24 hours from order to delivery. Thanks again for your excellent service. A belated BIG THANKS for the follow up on the ducks I received. It was a pleasure to know when you order online you know there is a great person on the other end of the line! The ducks arrived the day after we spoke and there is a very happy girl at this end - I think she is up to 36 bud ducks now!! I'm sure I'll be in touch soon ordering pigs for Christmas!! Thanks for the ducks which I received this morning. Just to say that the parcel of racing ducks arrived safely yesterday morning, via DHL all the way from Luton to the mountains of Valencia! We are very pleased with the ducks and thank you for your excellent service. Thank you very much for the order of 70 Medium Ducks. They arrived very promptly the next day. I was very impressed. Although it seems unlikely, if I ever need a large delivery of ducks again, I will know where to come. The ducks have been hidden around our school and currently there is a large game of hide and seek going on. I just wanted to say that today (Wednesday after Bank Holiday Monday) I have received my order from yourselves that I placed on Sunday, and this is an email to thank you for the quality of service that you have provided. I was very impressed with the whole process and the efficiency with which my order was dealt. Again many thanks for providing a first-rate service and keep up the good work!!! I look forward to dealing with yourselves again. I must congratulate you for what must be a near record delivery. I ordered a selection of ducks on Sunday and they arrived at my post office 5 days later on Friday - on the other side of the globe ! No idea how you did it but truly impressive service. The shipment was well packed and correct. Many thanks.................................. Looking forward to hearing from you so that I can place another order. Just got back into work from vacation and my well wrapped box was waiting for me. This last shipment was wonderful. I pleased to say that all my ducks turned up on Tuesday and I am extremely happy with them. Thank you for all your help. I just wanted to say a big thank you for your excellent service. I was kept completely up to date with the progress of my order, and when it arrived (very quickly considering it is so near to Christmas) it was extremely well packaged. ...........but wished to say thank you. my order arrived safely in Florida. Many thanks…….. the flight of rubber ducks landed in my bath this morning - looking resplendent in their respective costumes. I'm impressed with the quality of your service !! Good communications, super-fast delivery and such great ducks too! I will certainly be coming back for more and recommending to all my ‘duck-loving' friends too ! Thank you so much for the ducks, I can't believe I got them so fast! Very cute. Hi-I'd just like to say a big thank you for the very speedy delivery of my 2 wonderful ducks,its very refreshing to find a reliable company these days who keep you informed of every stage of your parcels delivery and it was extremely well packaged. 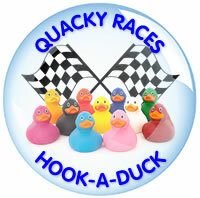 Hi, I just thought I would email you to thank you for a speedy delivery of my oh so cute ducks!! They are going to look fab in my bathroom. Thanks also for great customer service too - I will definitely be back soon. Keep up the good work!!!!! Just to say thanks for the very speedy delivery - I will be back for more! Just thought I had to drop you an email to thank you for the excellent service. Item has just arrived and I'm very pleased with the packaging not to mention the ducks themselves. I'll certainly be back when I need more!